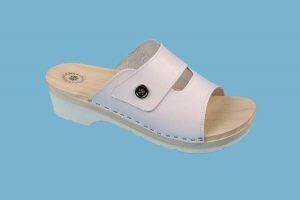 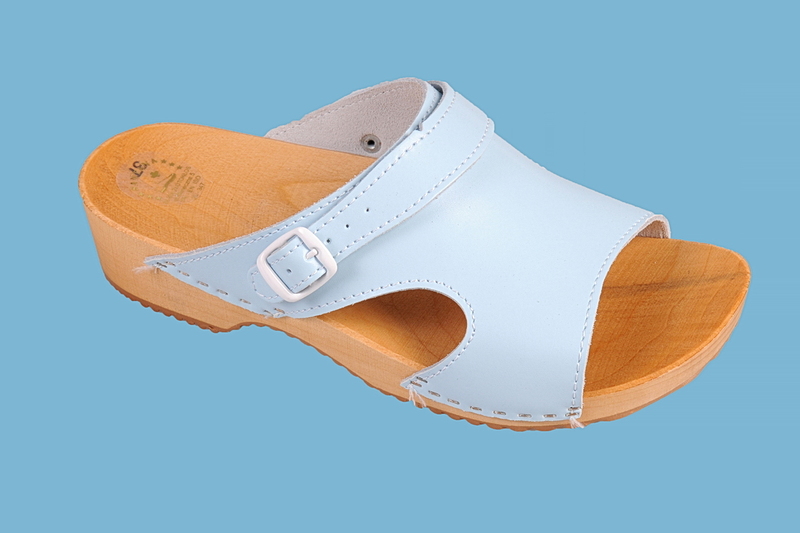 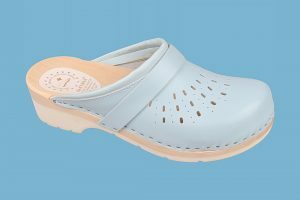 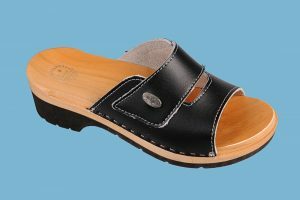 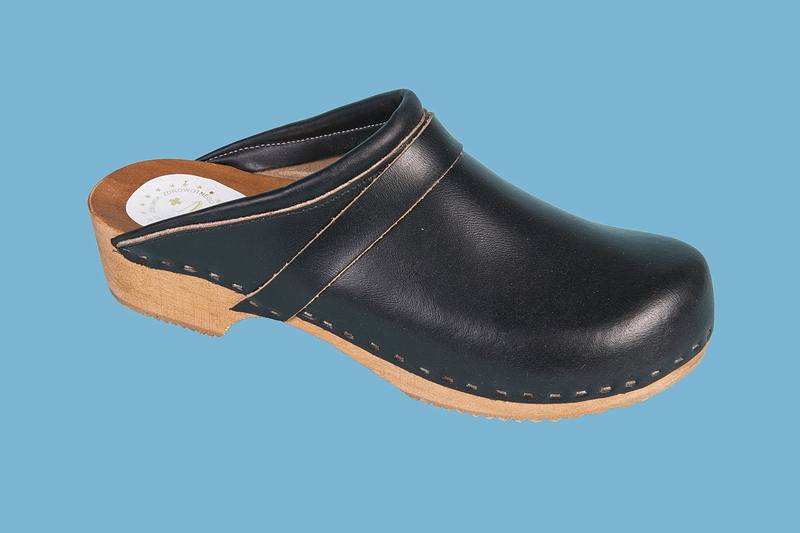 Medical, health, preventative and certificated footwear based on the wooden sole with the anatomical profile. 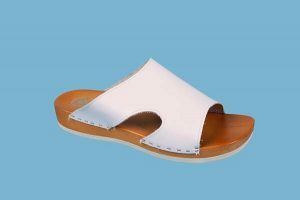 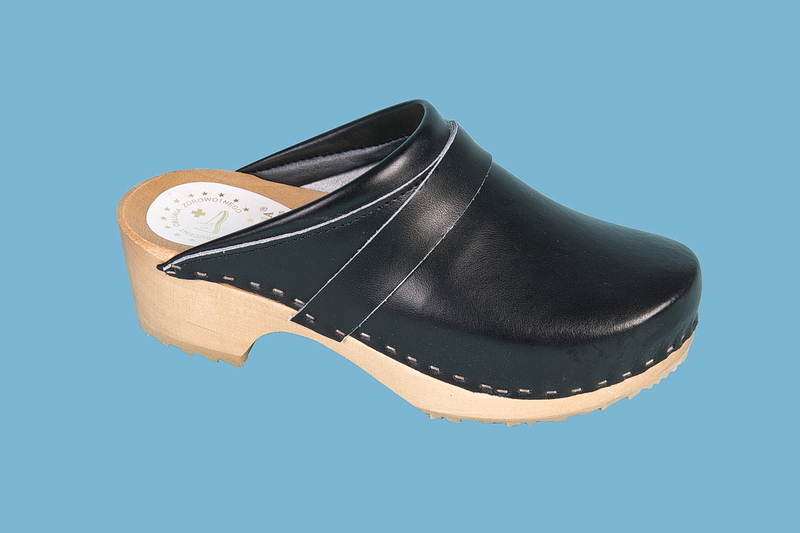 The top is made of natural leather with elevated inflexibility. 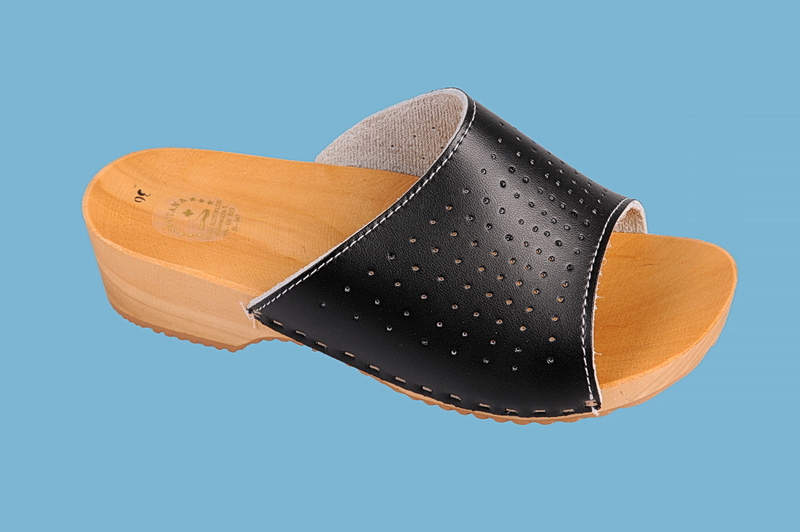 Wood prevents feet moisture of feet. 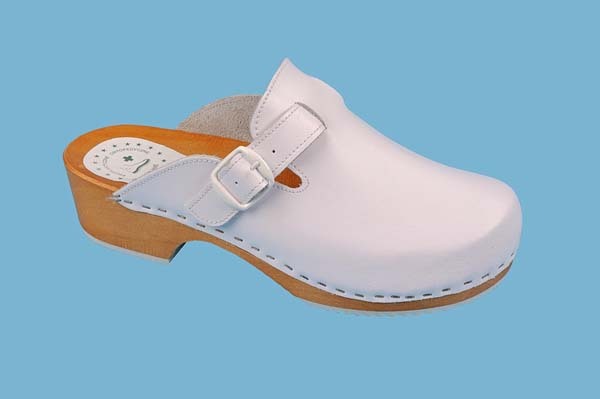 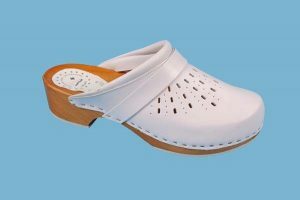 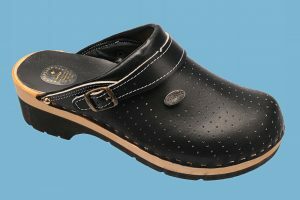 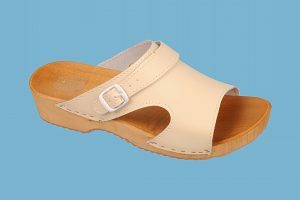 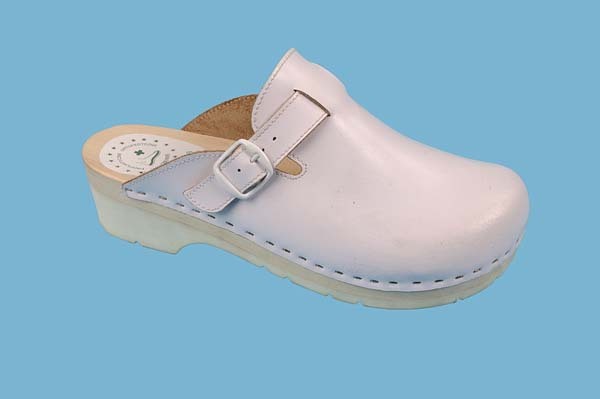 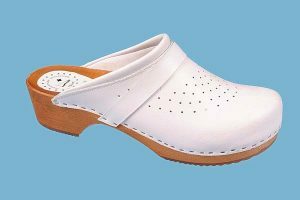 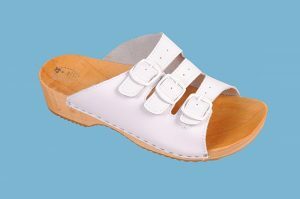 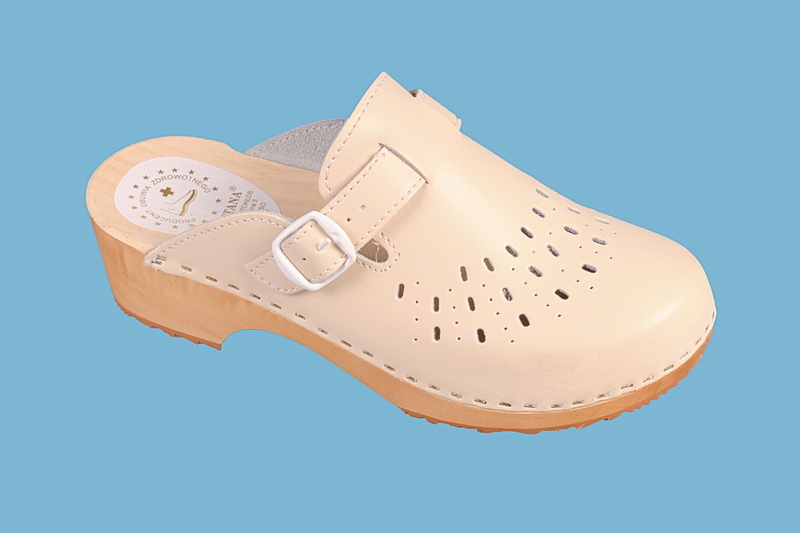 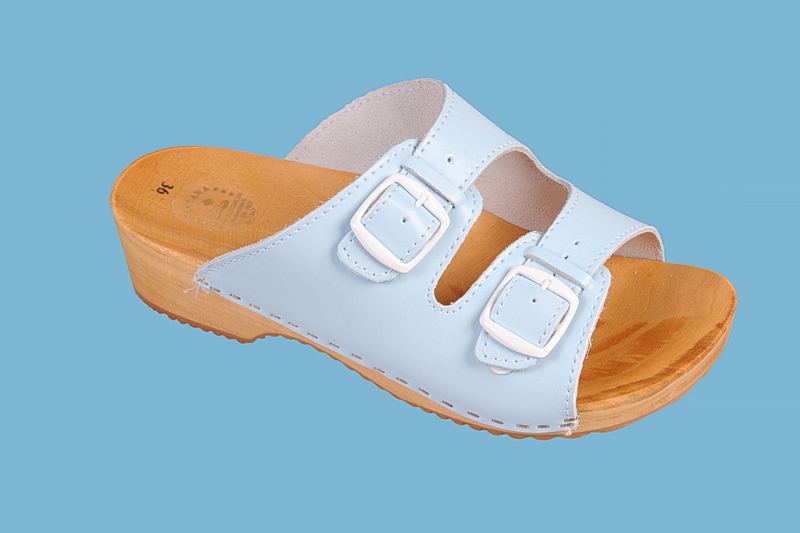 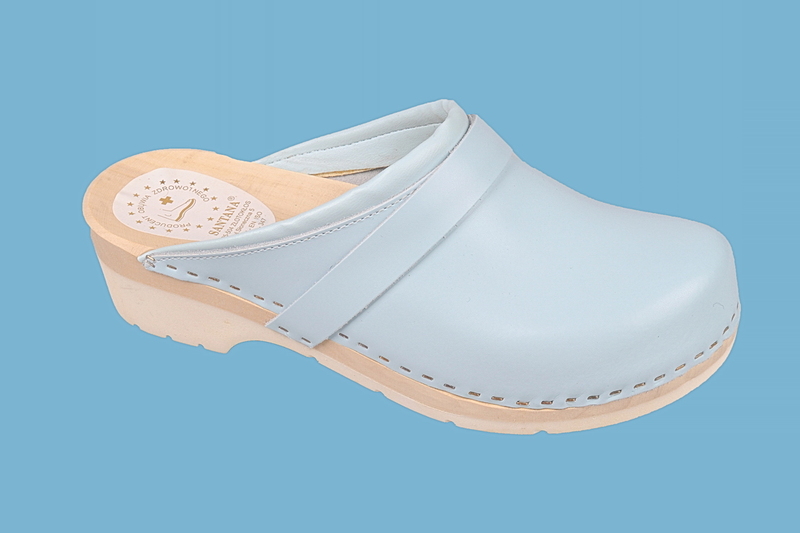 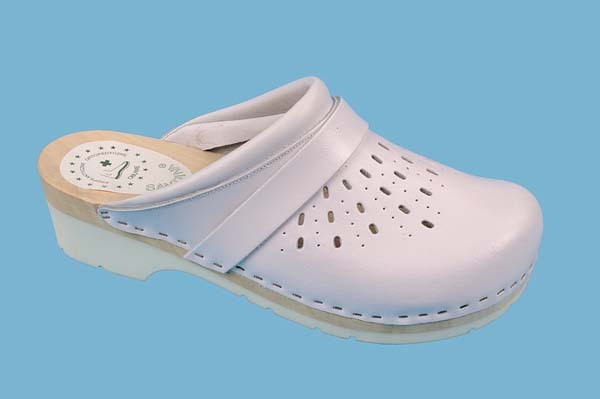 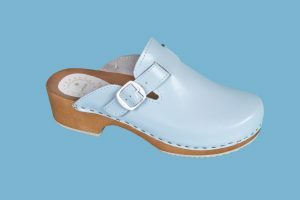 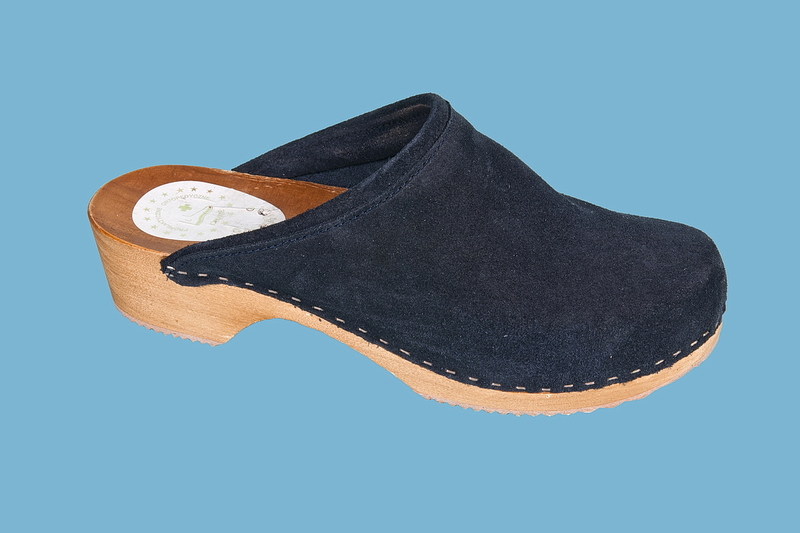 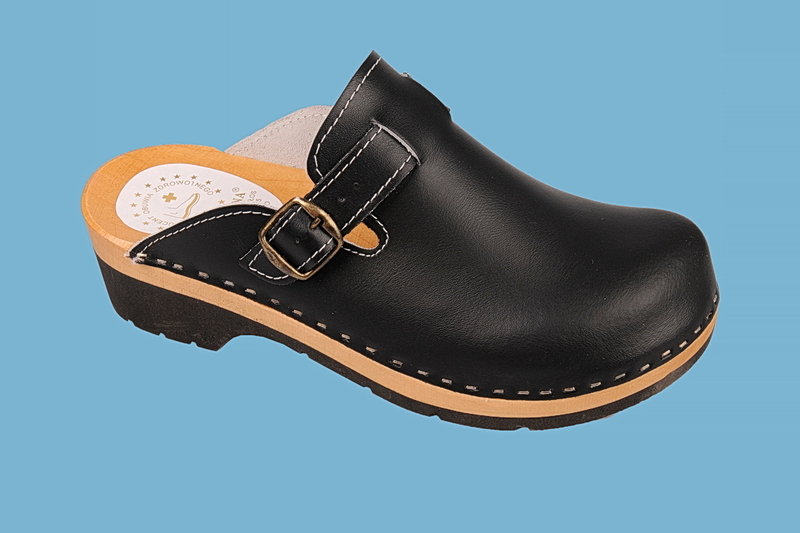 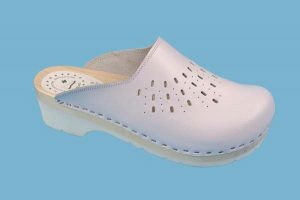 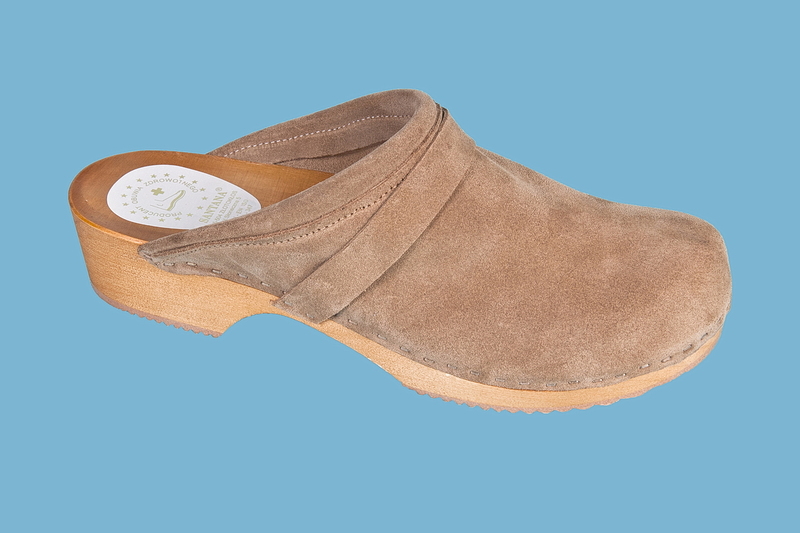 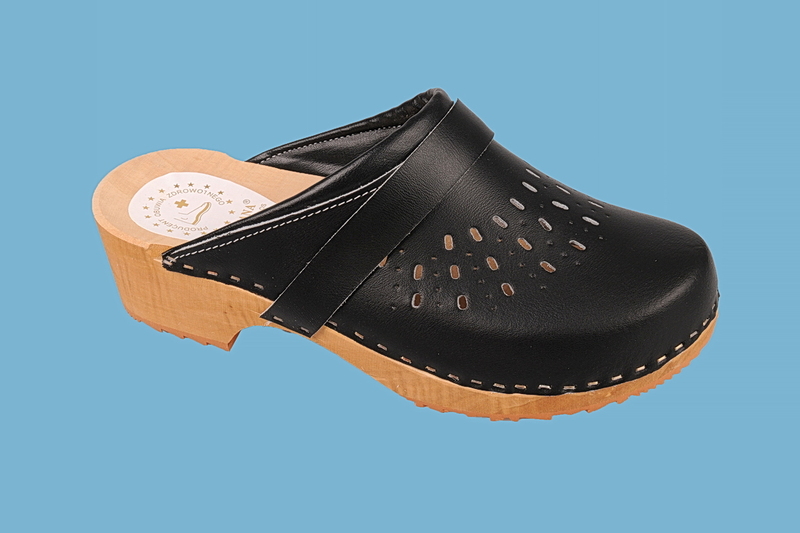 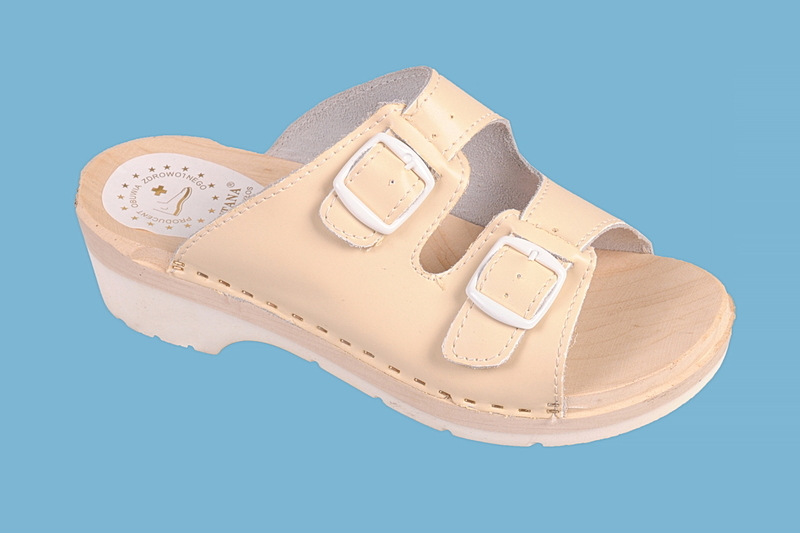 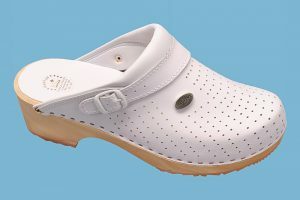 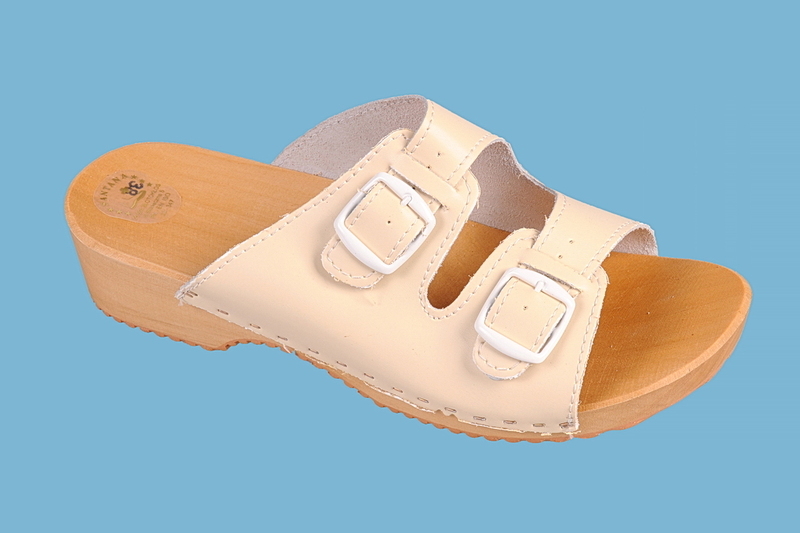 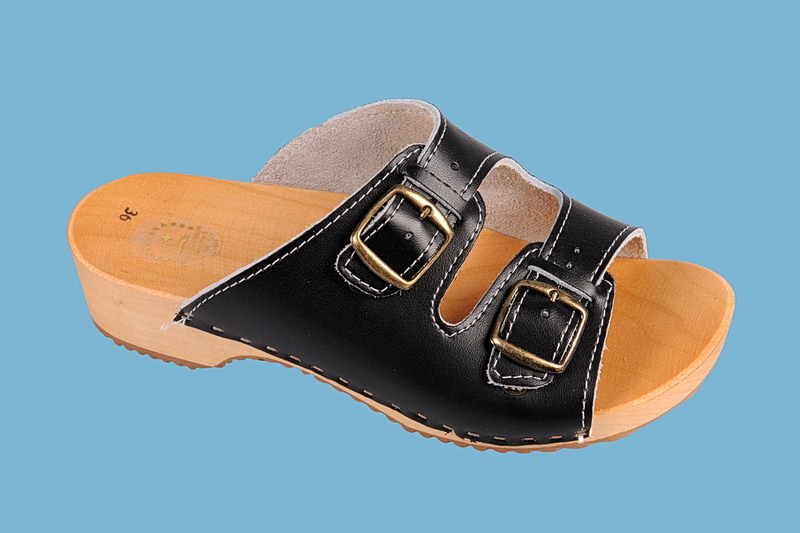 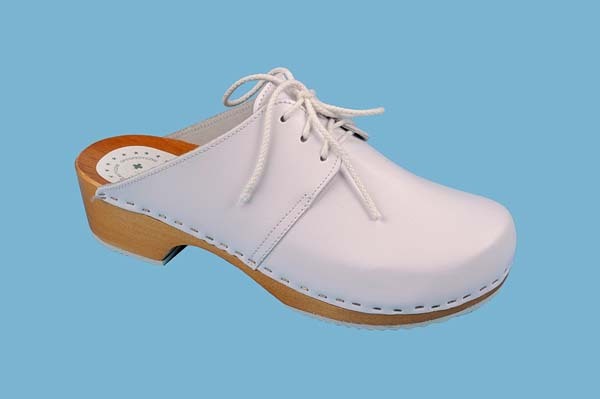 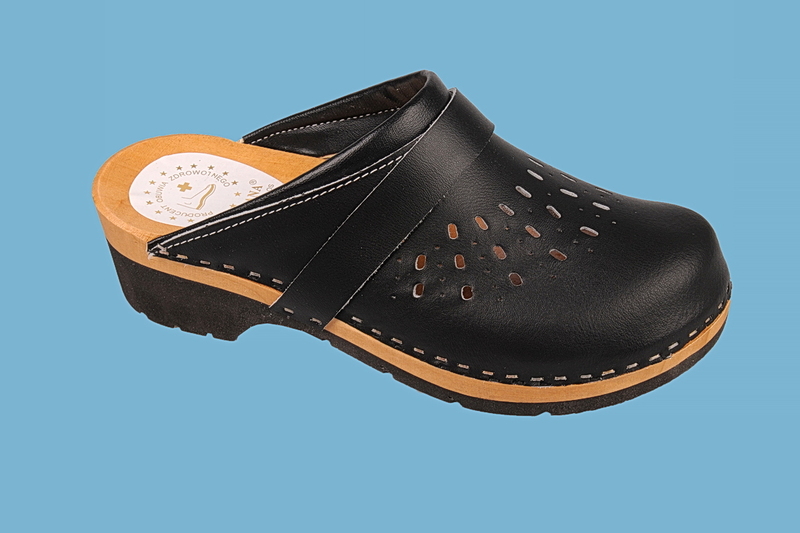 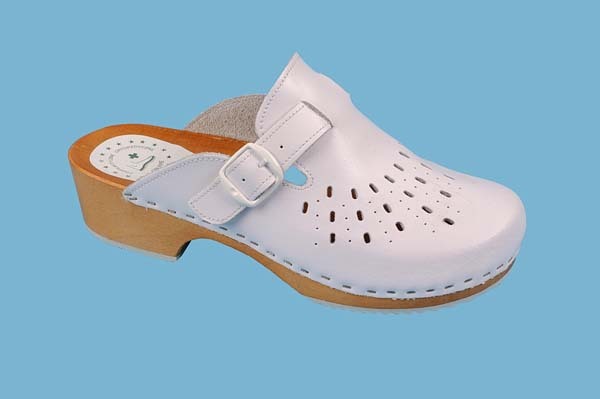 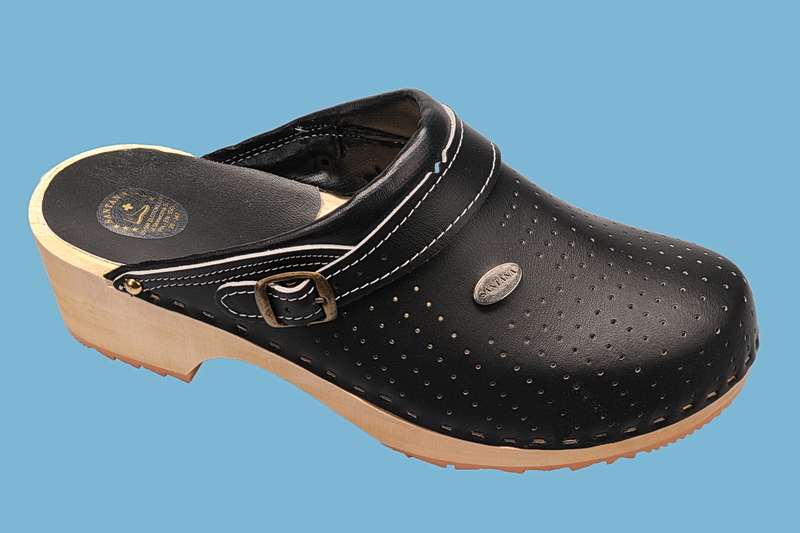 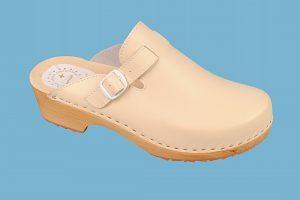 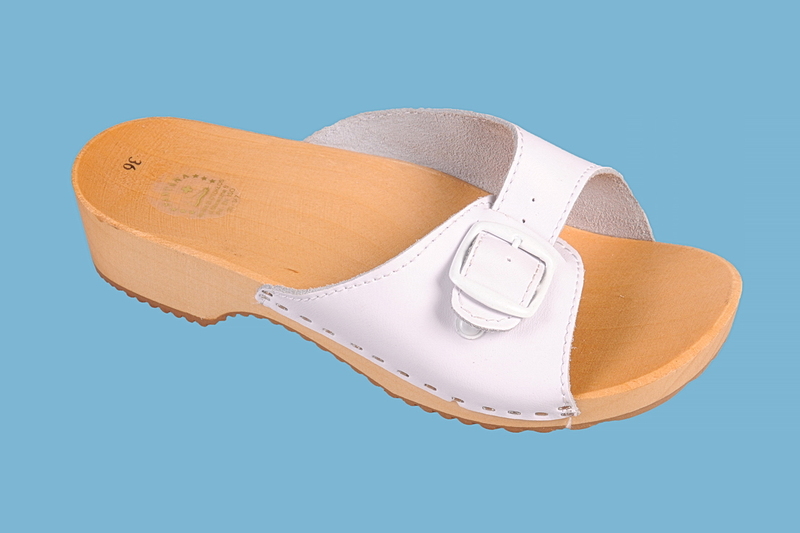 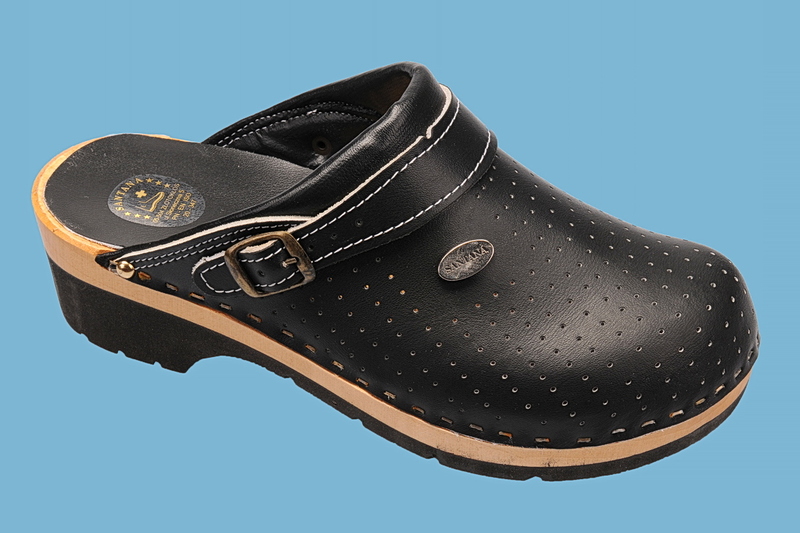 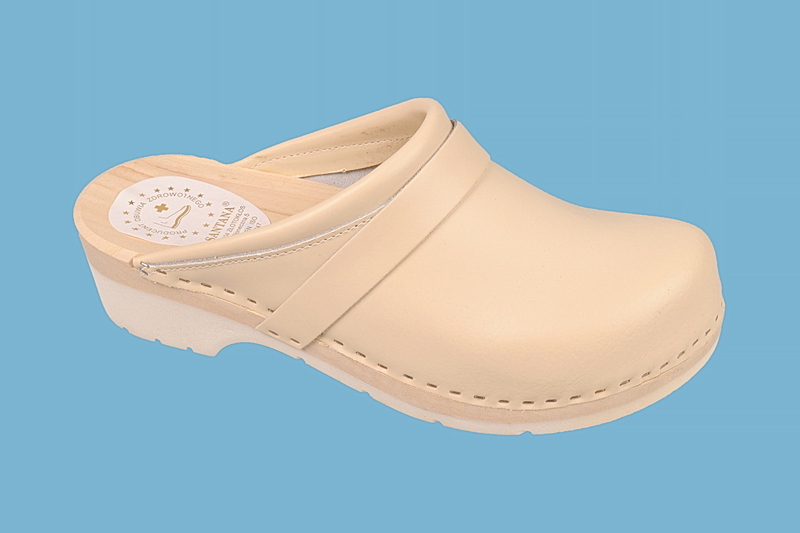 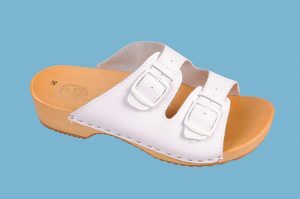 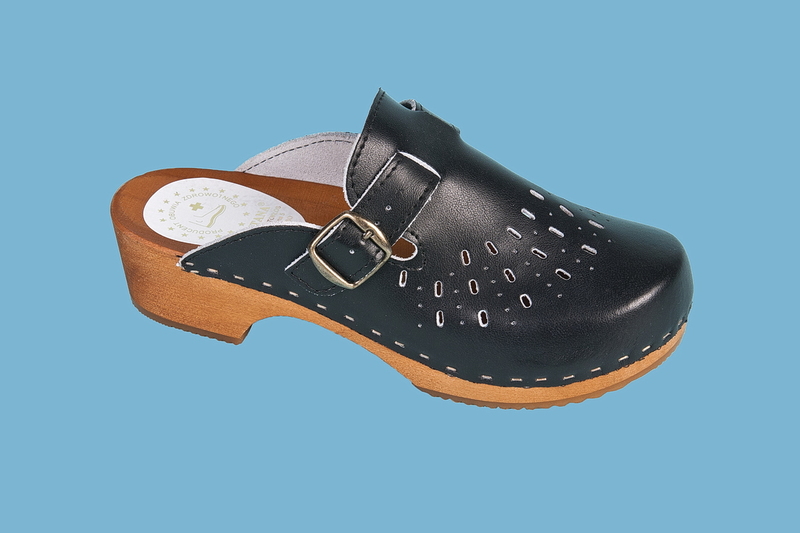 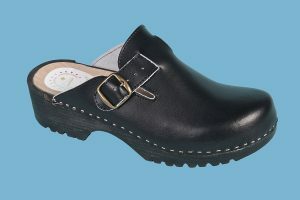 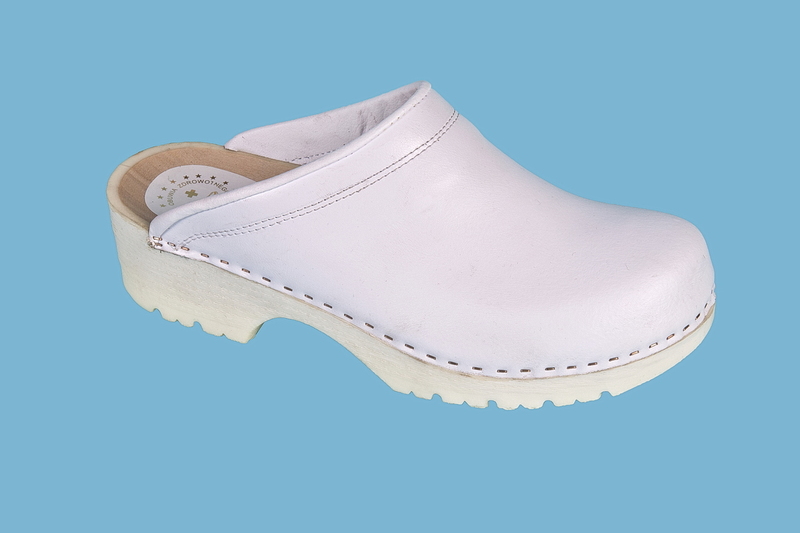 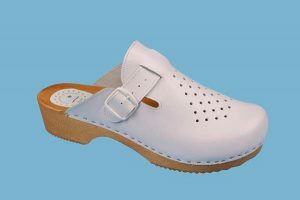 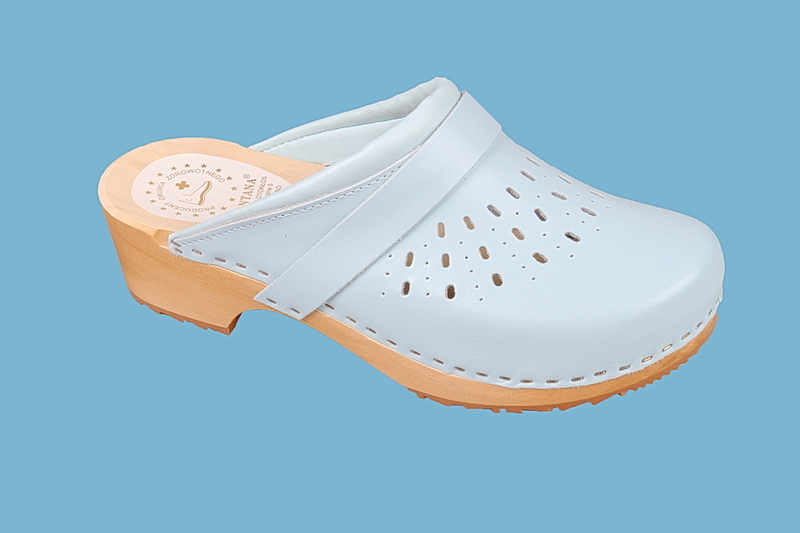 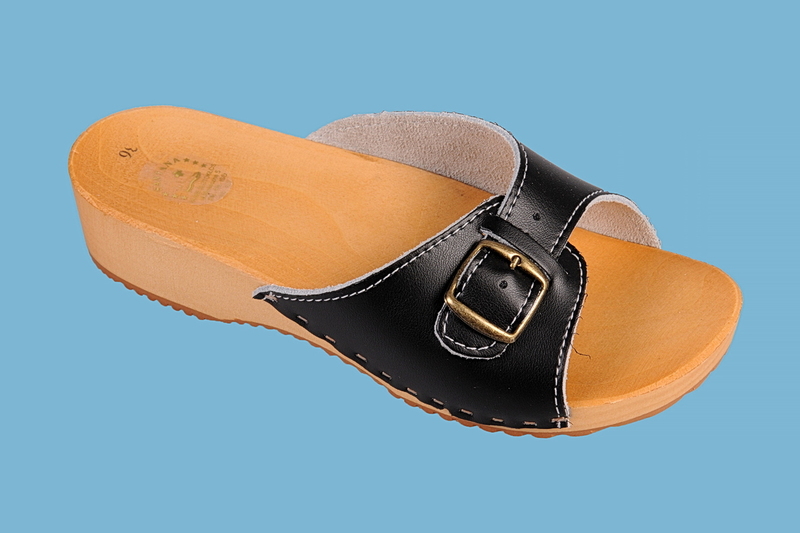 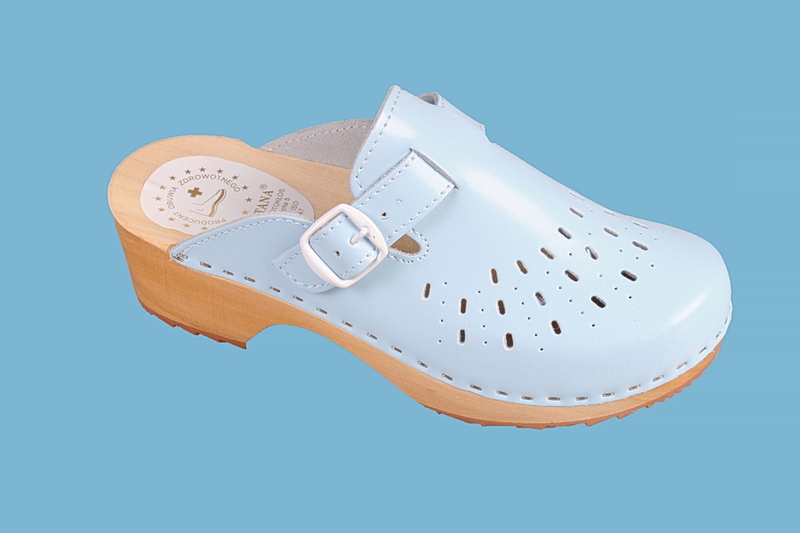 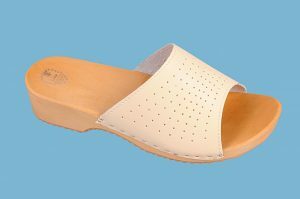 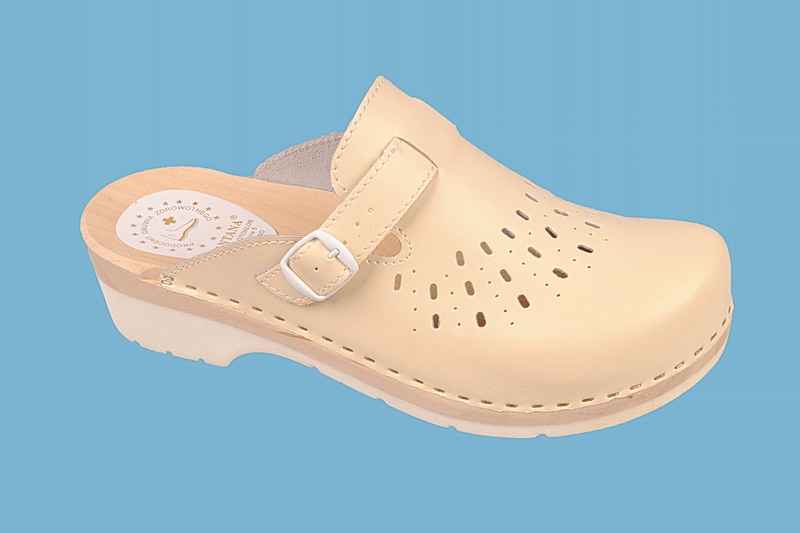 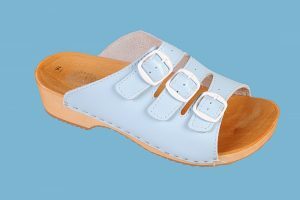 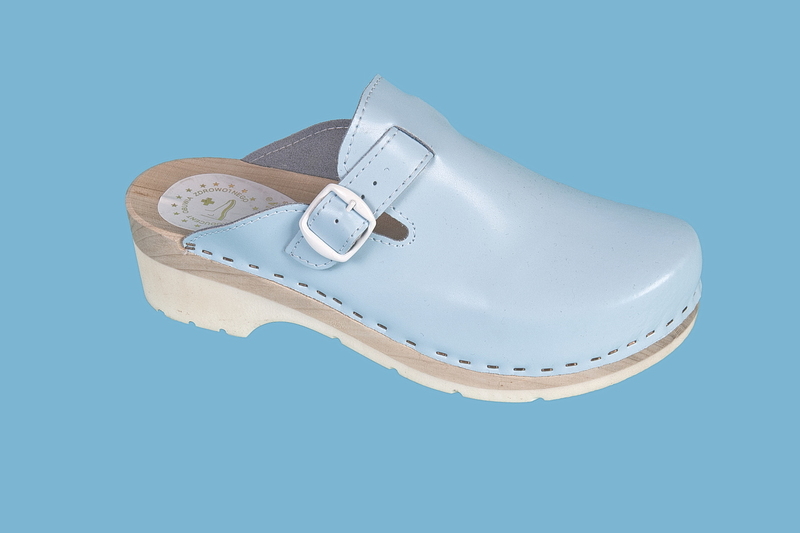 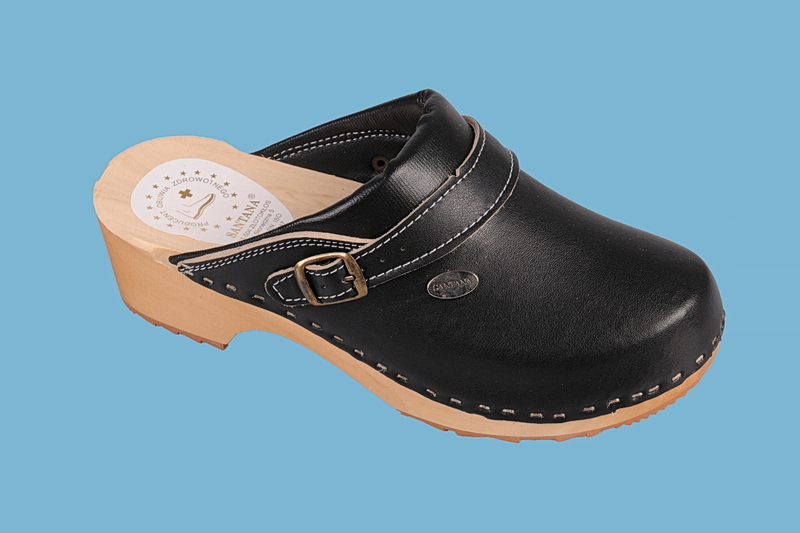 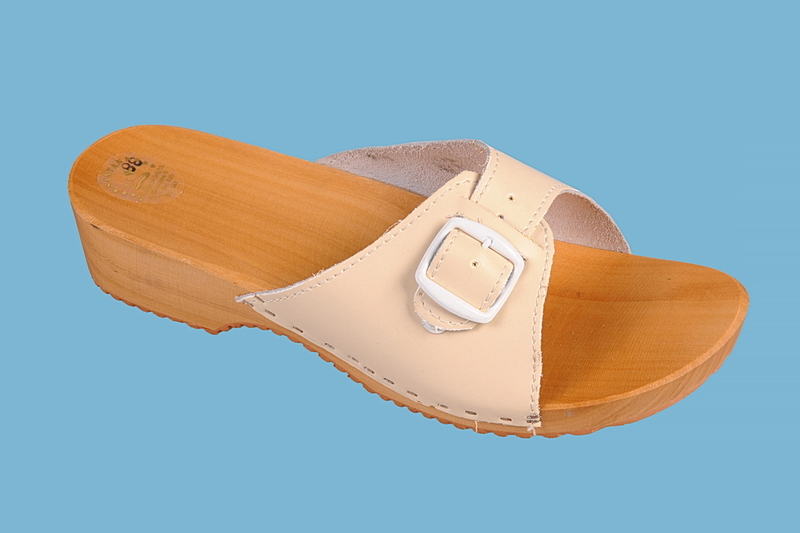 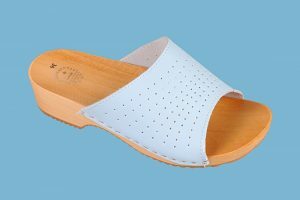 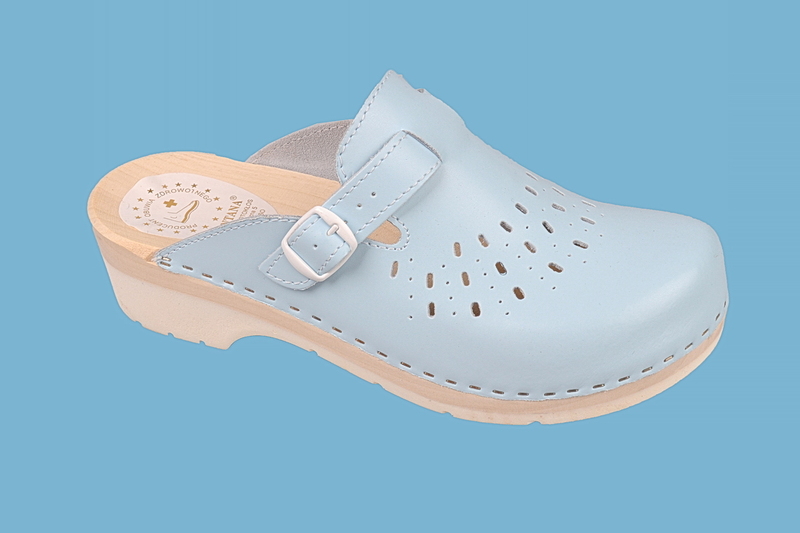 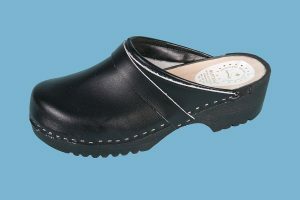 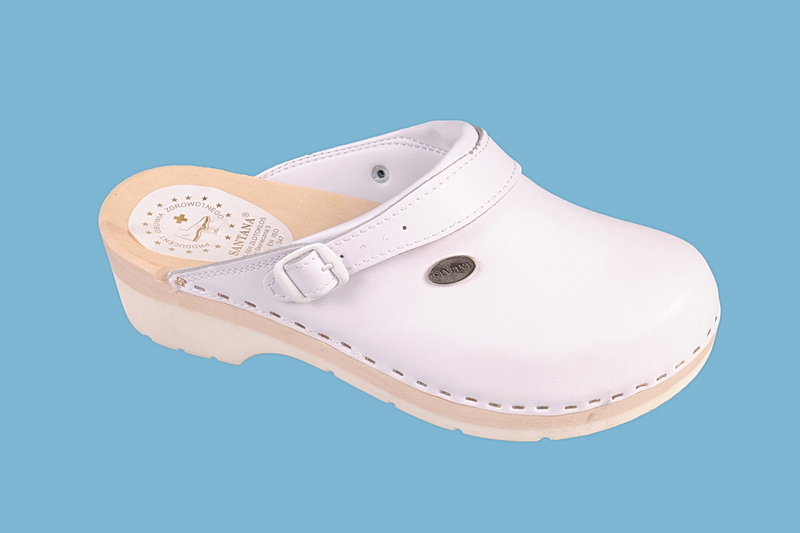 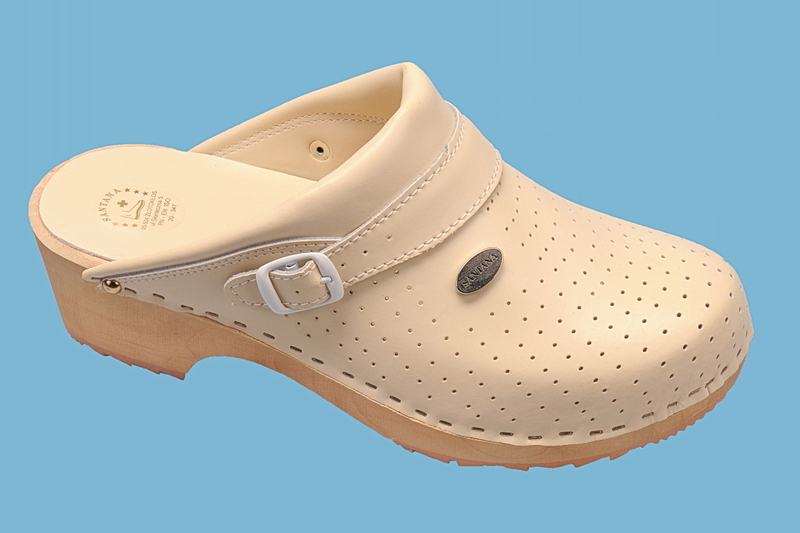 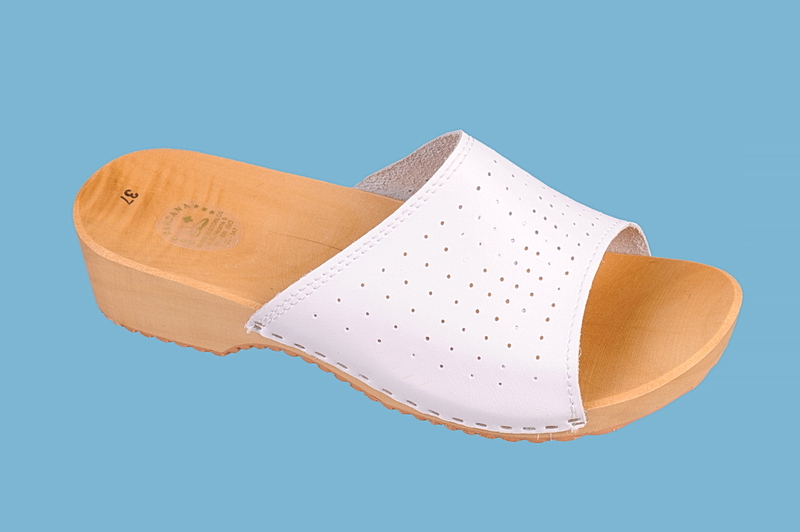 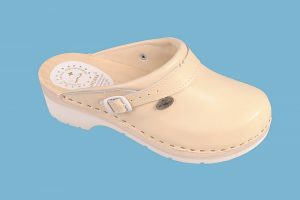 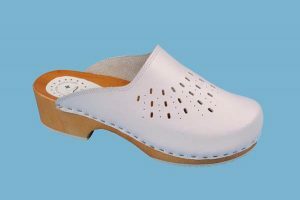 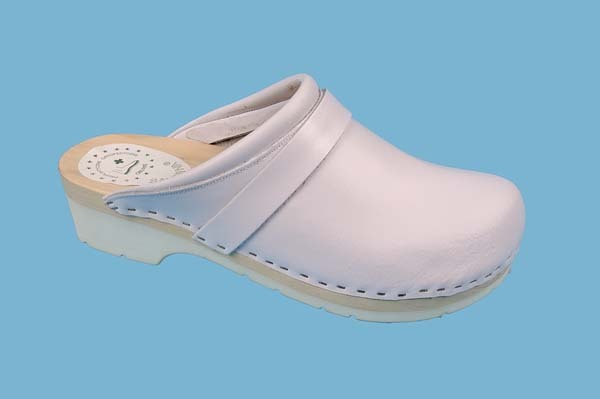 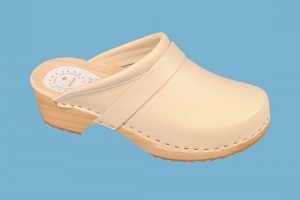 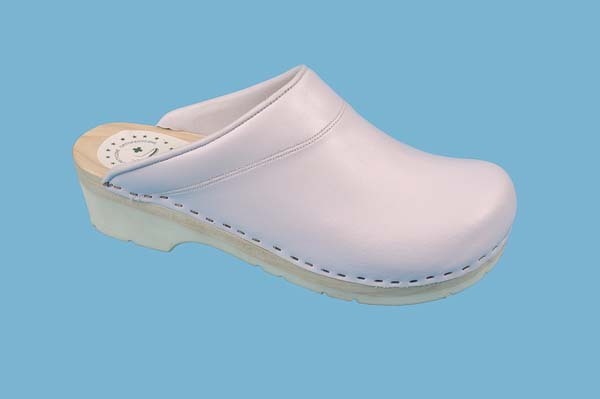 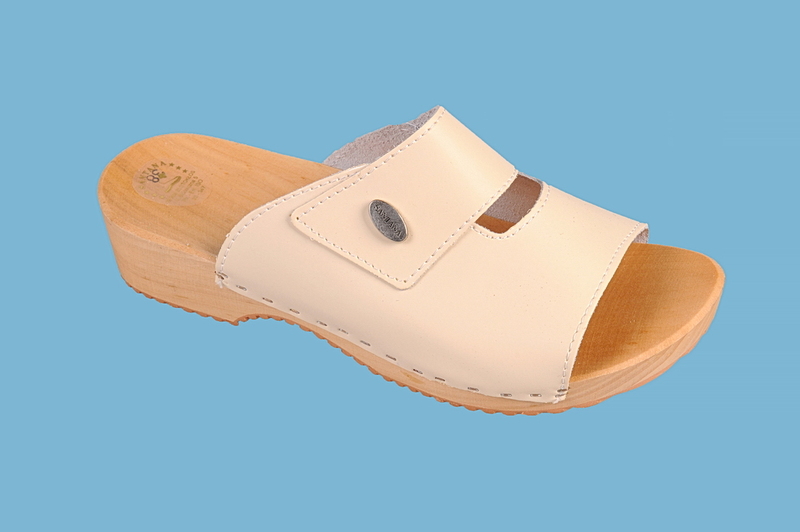 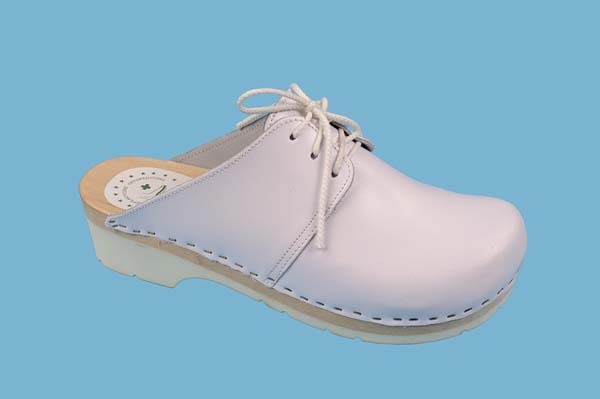 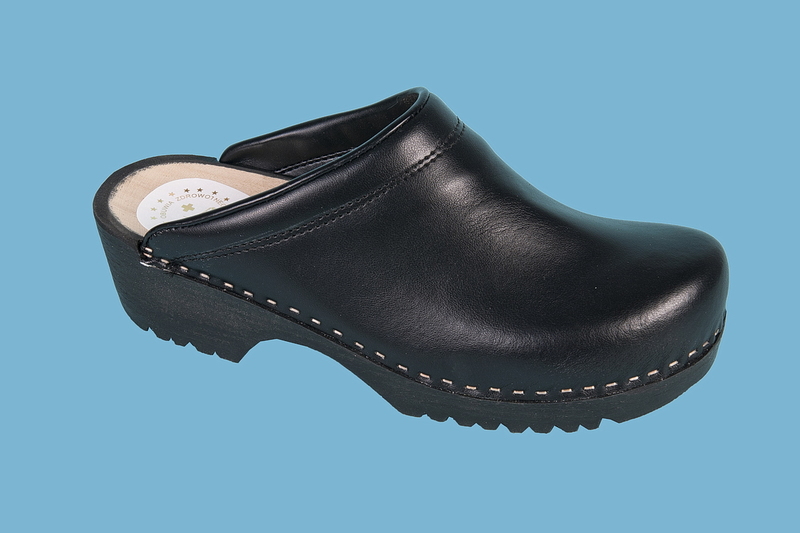 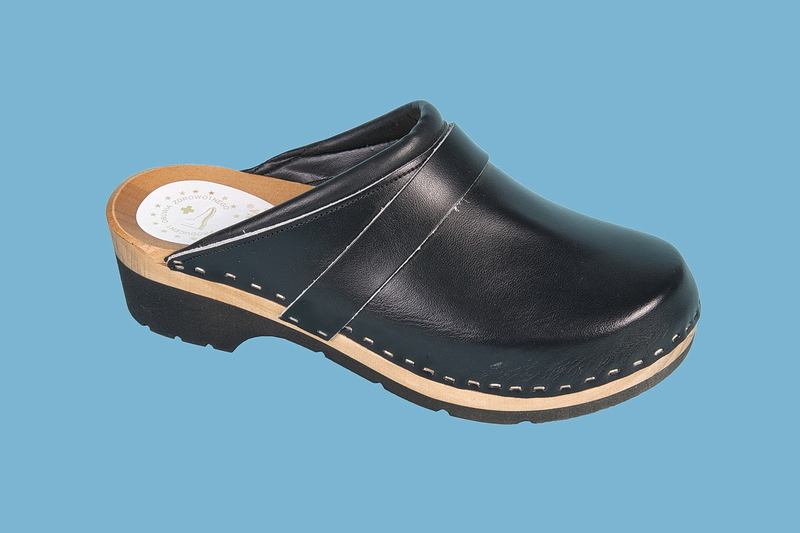 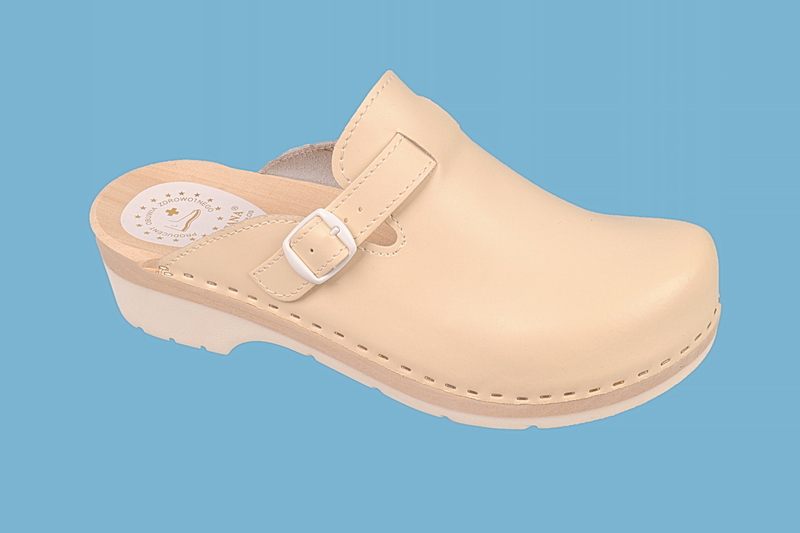 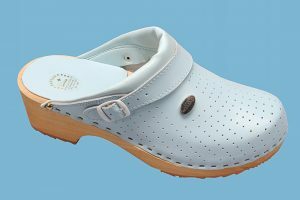 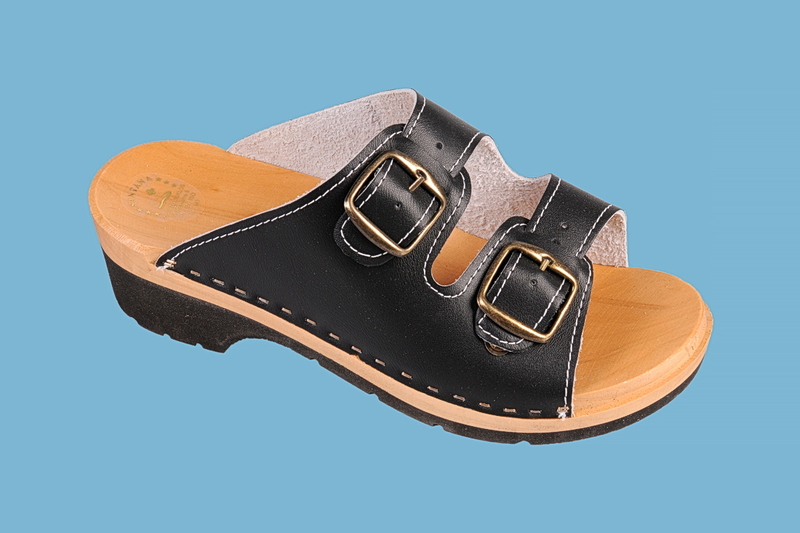 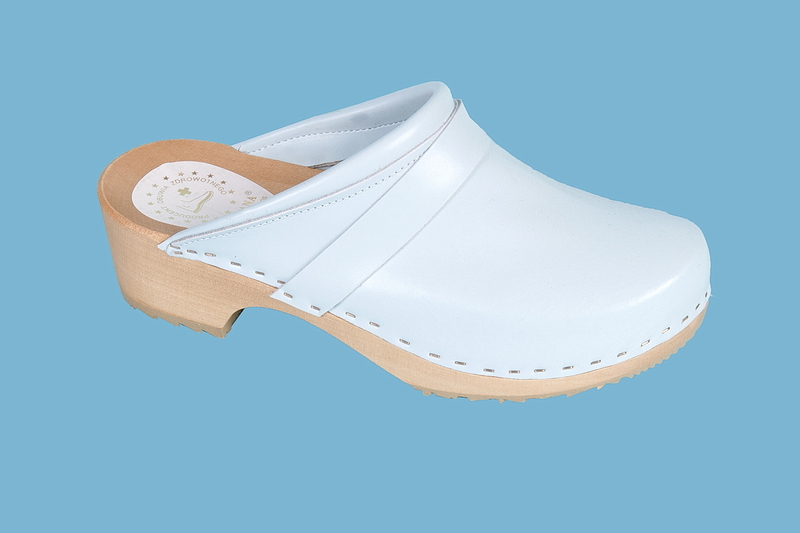 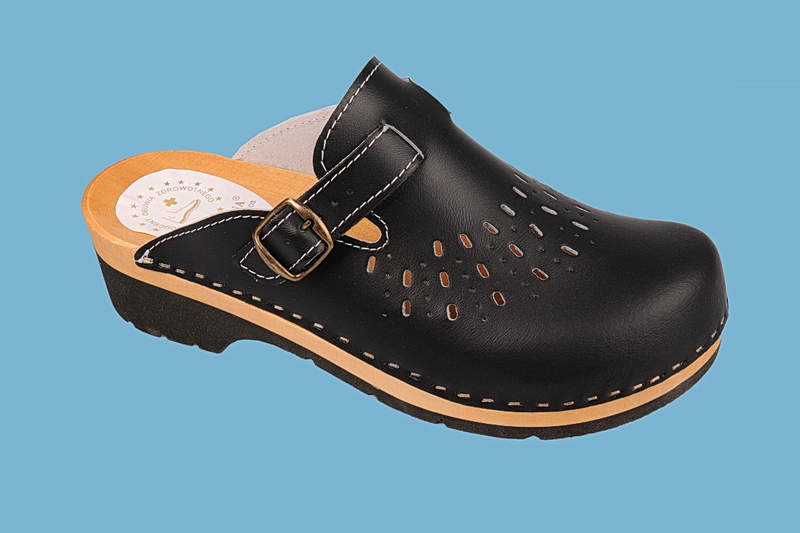 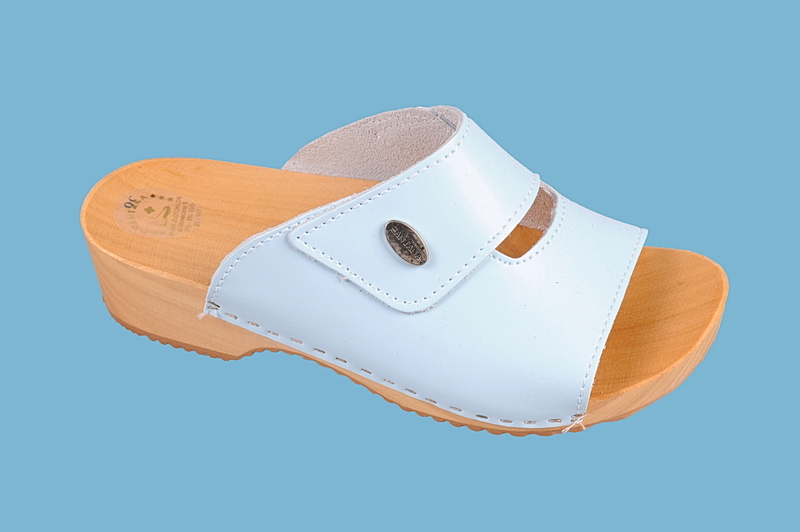 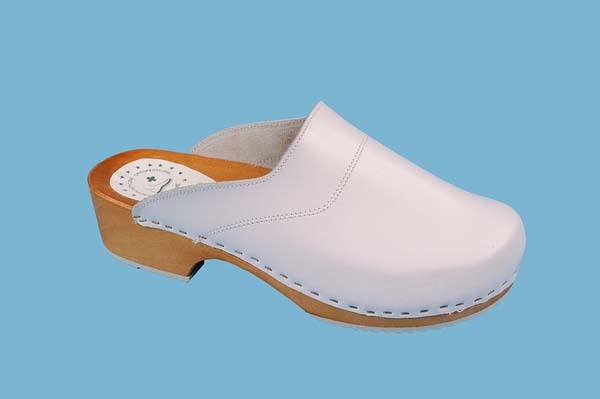 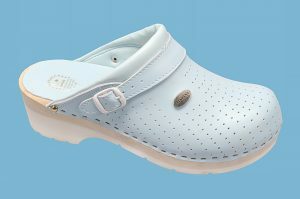 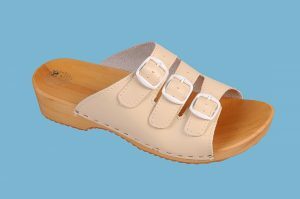 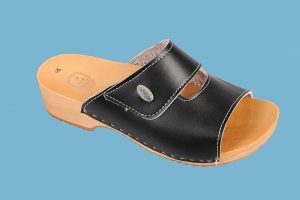 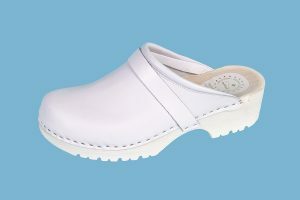 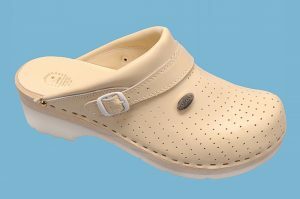 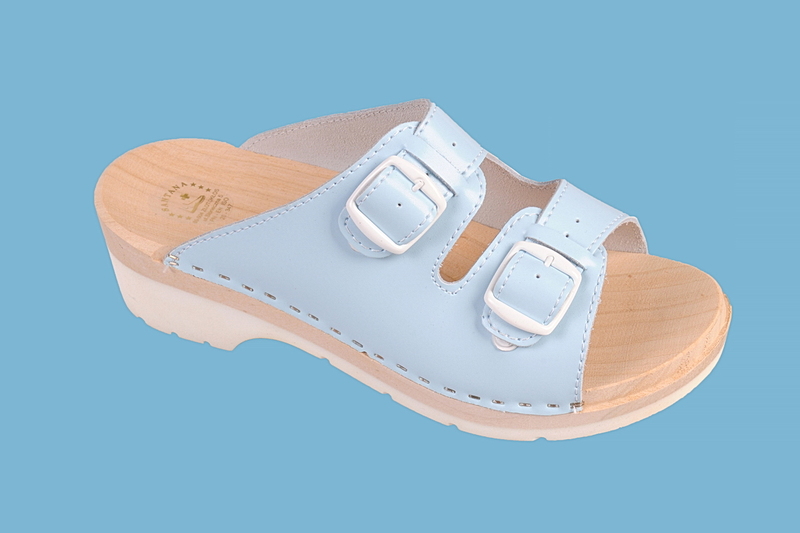 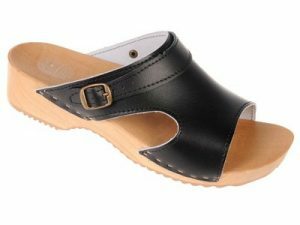 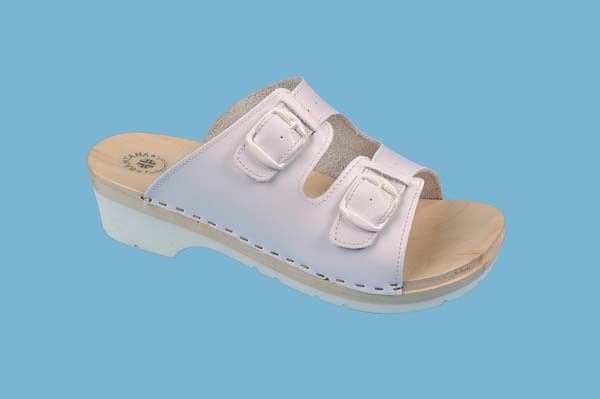 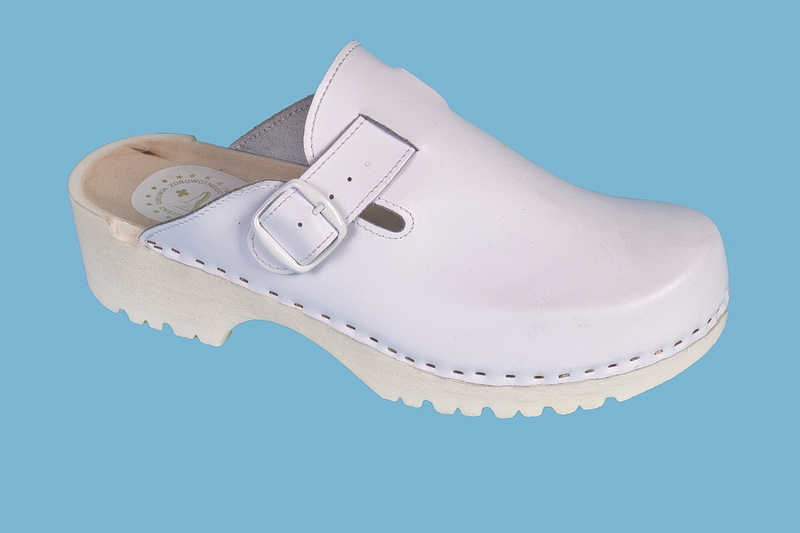 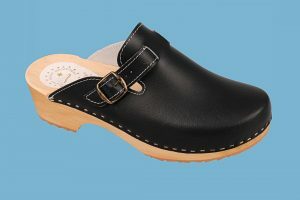 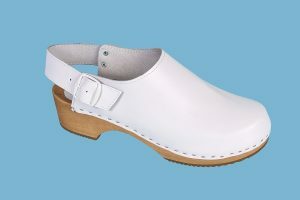 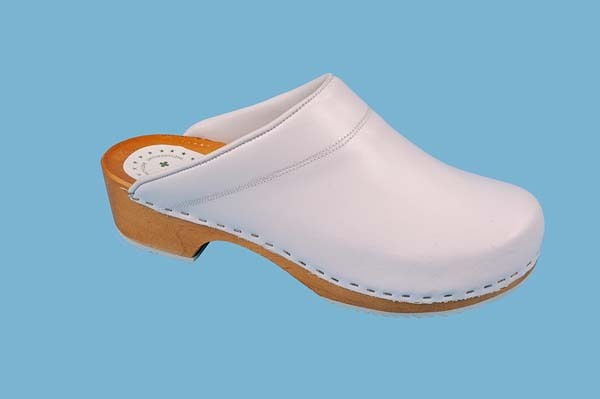 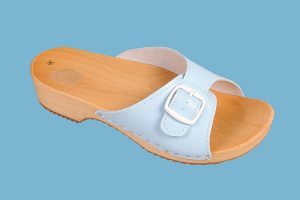 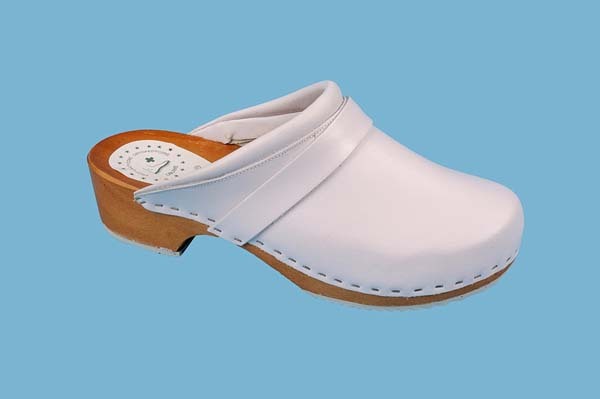 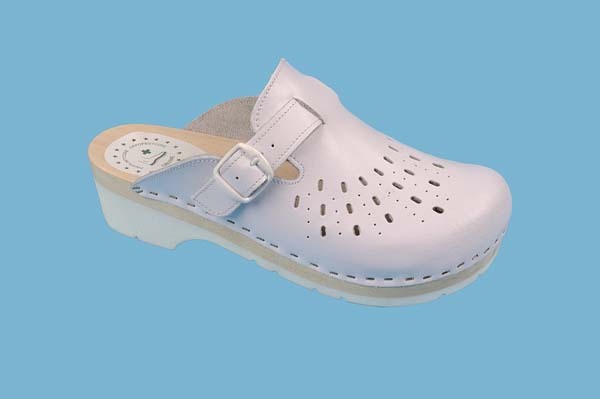 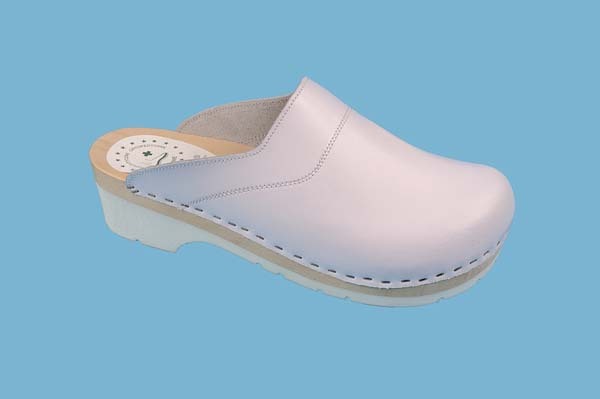 EVA clog sole ( it cushions the exploitation moreover it prevents the ‘clack’ effect. The exploitation of clogs is wholesome and it doesn’t trigger the fatigue of feet. 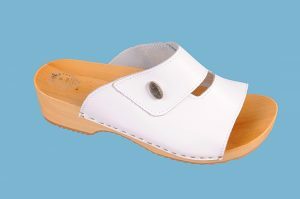 Available sizes: 35 – 41. 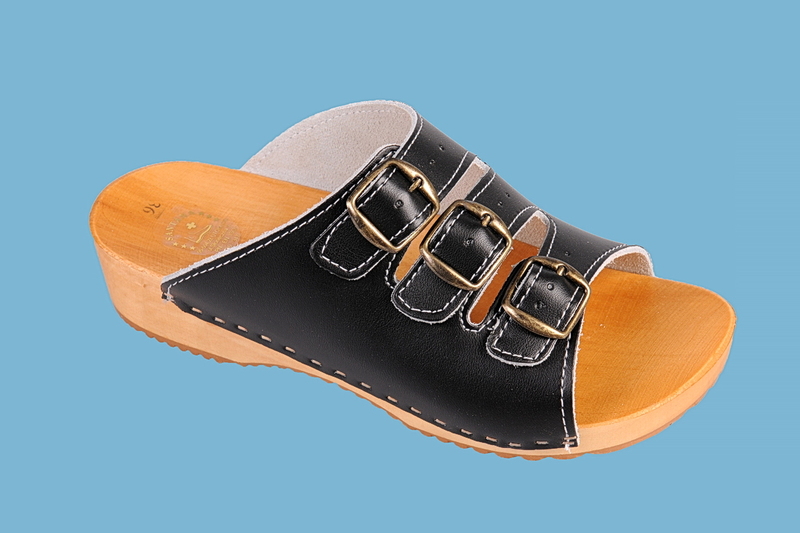 Available sizes: 41 – 47.